Definitely not your average paintball game! Wanna play a fun game of pinball? Good! Here's something different – INKS is a combination of barely-in-control balls and paint splatter mayhem the likes of which you haven't seen. As the ball smashes everywhere around the canvas, colors burst in all sides as if you happen to be in the middle of a paint shop explosion. The colors build up in layers as you perfect your score, generating an end result that's unlike any other game of pinball you've played. Each pinball table becomes a work of art all of its own, directed by you as you control the paint-covered ball. INKS encourages players to share their 'work' of art on social media or print them and hang them on walls. You won't go wrong by doing that, because the pictures look terrific, and you won't run out of cool visuals any time soon, either. 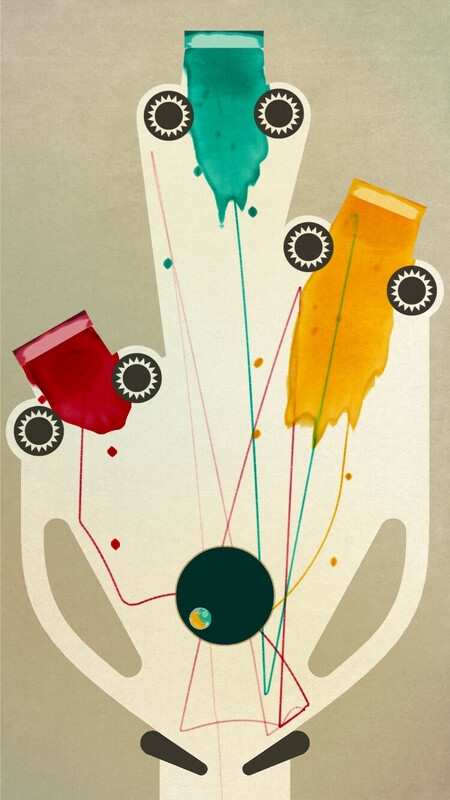 INKS has hundreds of levels, spread over a single session which gradually increases in difficulty, making both the gameplay and the visuals increasingly intense. INKS is the brainchild of enthusiastic pinball players who wanted to make their favorite game accessible to those who aren't keen on spending time in arcades. To make the game feel authentic, the developers built a real physical pinball table to simulate one of the puzzles. They also took joy in making the game beautiful, giving pinball tropes a quite literal new coat of paint. The artful pinball game is available on iOS for $1.99. May 18, 2016, 10:08 AM, by Victor H.
May 13, 2016, 9:38 AM, by Luis D.